You want to talk about intercultural exchange?! Well look no further because these brothers of FarmHouse fraternity signed up for an NPHC Stroll Off at Virginia Tech and the results were amazing! FarmHouse is a professional agriculture fraternity that was founded in 1905 for people tied to farming and although you may not expect it, these guys brought their own twist to the competition by strolling to a hilarious mix of Ginuwine and country music. We love to see videos like this because it shows that there can be fun ways to exchange culture and introduce people to new things without cultural appropriation while making everything fun and enjoyable to everyone! These guys stepped outside of their comfort zone and it looks like they had a great time! 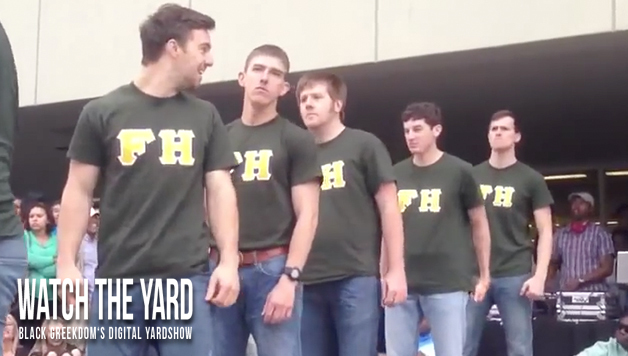 Let’s show these brothers of Farmhouse fraternity some major love in the comment section below! I love this!! And they did a good job, considering.